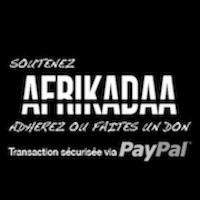 AFRIKADAA: Appel à contributions / Call for submissions - AFRIKADAA N°9 "ANTHROPOLOGISMES"
Appel à contributions / Call for submissions - AFRIKADAA N°9 "ANTHROPOLOGISMES"
Il s’agit d’interroger le rapport, voire le lien, actuel, entre art et anthropologie. Nb : Un mot sur la naissance de l’anthropologie. Ses fondateurs (Frazer par exemple) se situent dans une perspective évolutionniste dans laquelle il y a une espèce d’échelle des êtres selon leur position dans « l’évolution » de l’humanité. Trois états ont souvent été distingués : sauvage, barbare, civilisé (Morgan) ou animiste, polythéiste, civilisé (Tylor). Le XXe siècle s’est, plus ou moins, calqué sur ce paradigme pour appréhender les mondes non occidentaux et élaborer leurs méthodes. Les « scènes et types » des cartes postales coloniales en sont directement issus. - Chaque photos doit être nommée avec un titre explicite et accompagnée d'un texte indiquant le titre de l'oeuvre , une description technique, l'année de réalisation et le nom du photographe. This issue is about questioning the current relation between art and anthropology. When anthropology meets art: today, many contemporary artists from the Southern worlds work with the (re) appropriation of anthropological patterns. They do so by subverting the clichés to divert them from their “primitive” destinations, using mimicry as a critique of the approach devised by those scientists from another time, or by using anthropological processes as material in their work. In many ways, the reference to anthropology is today, a recurring practice. Are this "anthropologism" and the stakes at play here, signing the death of anthropology ? A revival ? What use can be made of photographic archives ? Is anthropologism the mark of decolonization ? How do artists and scientists distinguish themselves from a system of knowledge deeply inscribed with a colonial and racial ideology ? What do they make of this heritage? How in the recycling of images from the past, does art assumes a role in social commentary ? Simultaneously to these developments, anthropologists in general – and the so-called "Africanists" in particular - have taken hold of contemporary African art. Is this a logical continuation, from the primitive arts on which anthropology focused its attention on during the twentieth century ? Is this phenomenon limited to France ? What are its implications ? More broadly, what is the meaning of shows like "The invention of the Savage" or "Exhibit B" ? Can we separate these actions from the revival of old clichés ? The "anthropologisms" seem characteristic of the early twenty-first century, and this is true whether we look at the encounters generated from art to anthropology (most notably, with artistic approaches also making claims to be theoretical research), or from anthropology to art. Which hybridizations do these encounters give place to ? NB: A word on the birth of anthropology. Its founders (such as Frazer) situated themselves in evolutionary theory, which implies organizing living beings according to a scale depending on their position in the "evolution" of humanity. Three states have often been distinguished: savage, barbaric, civilized (Morgan) or animist, polytheistic, civilized (Tylor). The twentieth century has more or less modeled its views and understanding of non-Western worlds on this paradigm and developed its methods of study accordingly. The "scenes and types" described on colonial postcards derive directly from these notions. We invite you to submit your essays, articles, photos, works, poems and other submissions. - Each picture file must be named with an explicit title as well as a text file with the name of the file, name of the artist, title of the work, technical description, year, size, name of the photographer.